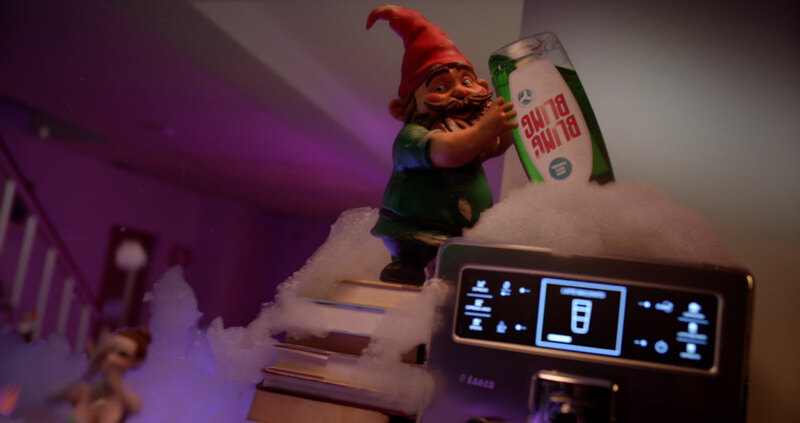 Mill+ collaborated with Zum Roten Hirsch GmbH to create this rowdy and raucous festive spot for German retailer MediaMarkt. 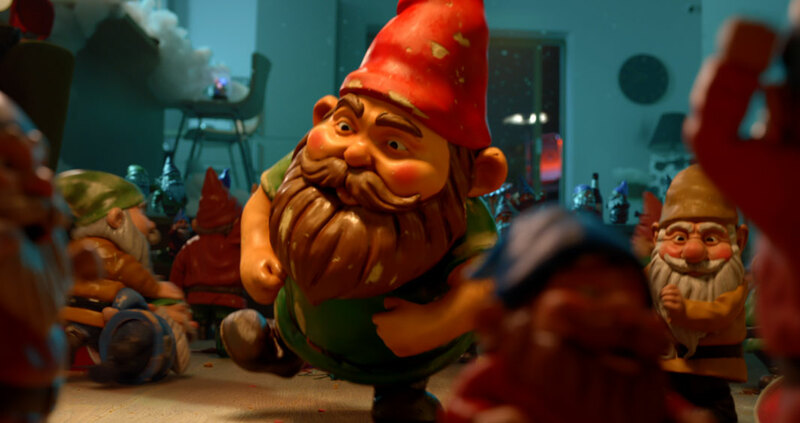 Directed by Jimmy Kiddell, the spot features a crew of mischievous gnomes, each crafted wholly in CG and each with their own unique individual character. 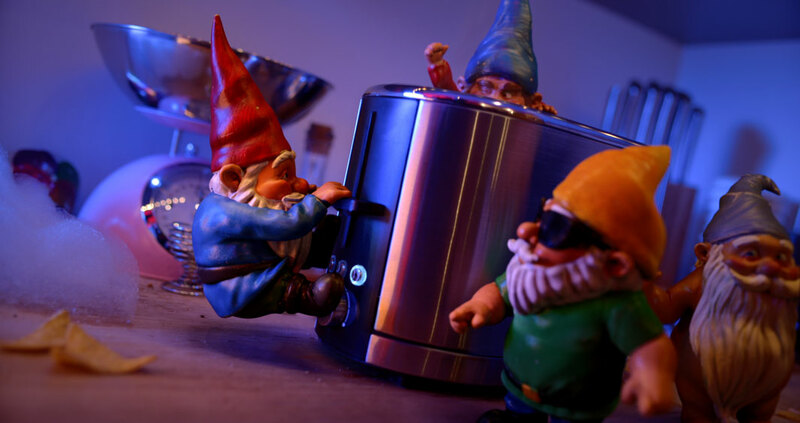 When a couple leave their suburban home suddenly their garden gnomes come to life and create havoc in their house. 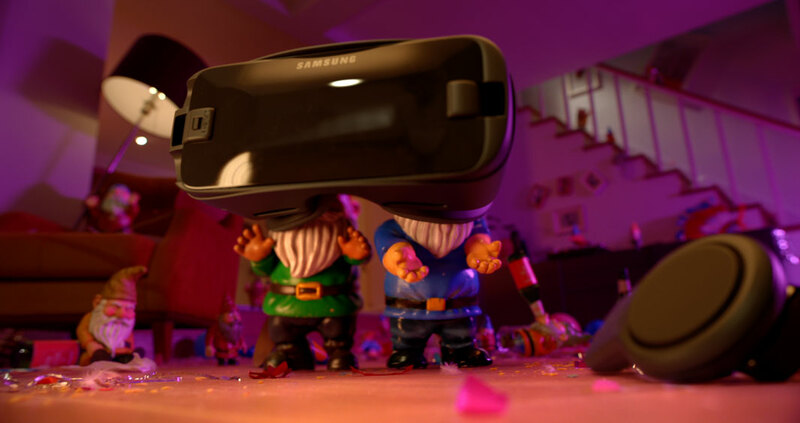 We see the small but mighty figures tormenting a cat, attempt to use a VR headset, ‘baking’ each other in a microwave and a whole host of other outlandish activities. Mill+ Director Jimmy Kiddell explains, ‘When I first read the script, I couldn’t quite believe it. I love the fact that at a time when most brands are aiming to make more sentimental, heartwarming Christmas ad , MediaMarkt have been brave enough to go a different way. 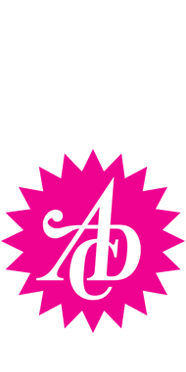 It was great to direct such an unusual, large scale animation piece particularly when your client is always open to new ideas. I was keen to craft a restricted style of movement that would work for our solid mini heroes. 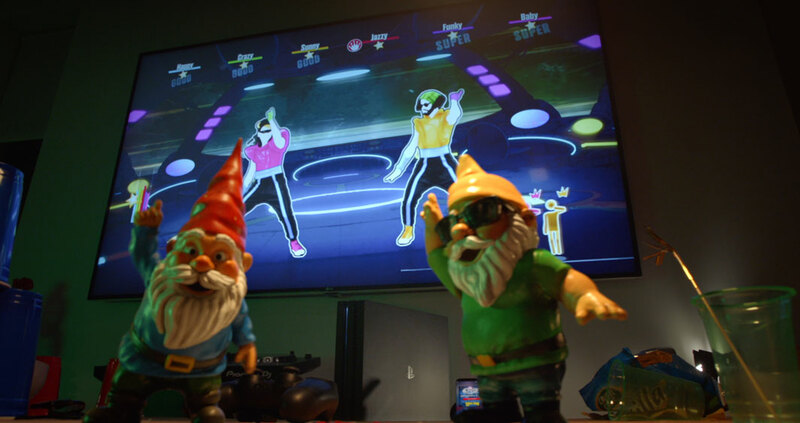 Real gnomes are brittle, fragile objects that don't bend and the story required fluid actions from them such as dancing and catapulting. I was convinced that this degree of restriction would add to the comedy, so I'm very happy with the balance we've found. To ensure the right mood was created everything needed to feel real on set. 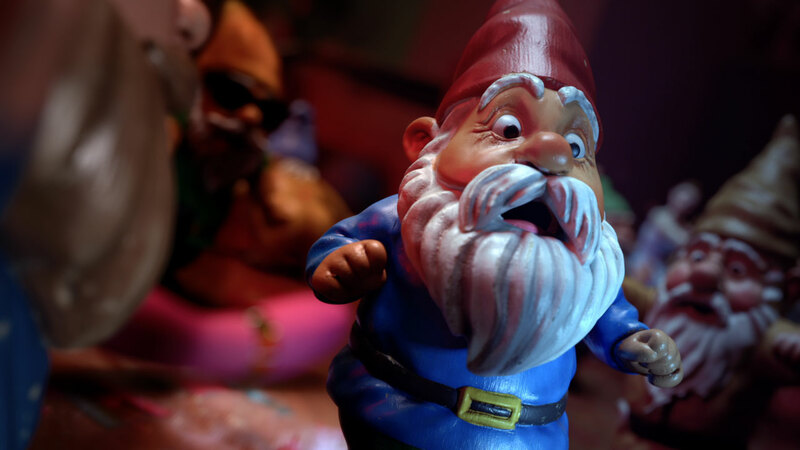 An average suburban street, real gnomes and a real house party going out of control. It was ideal shooting chronologically so we could develop the messy devastation as we went along. Building our house exterior in a studio was awesome as it gave us complete control over the architectural design and the moon lit atmosphere. Raising the interior sets gave us space to cut holes in the floor and get the camera really low to immerse us in the gnomes world. 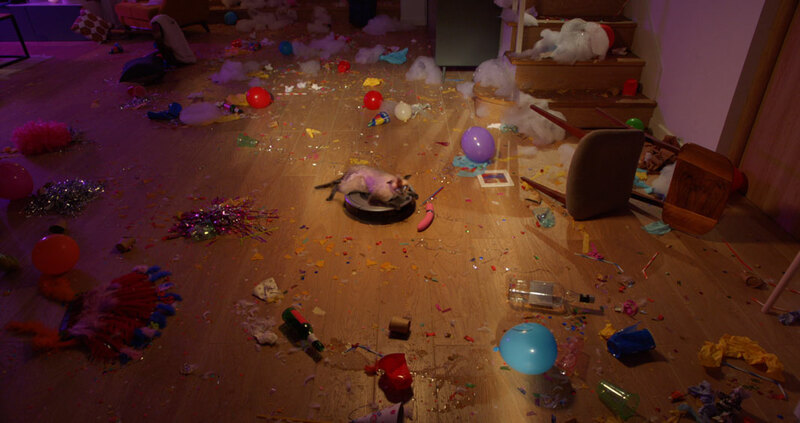 We tried to be sensitive regarding the line of what's acceptable to show animals doing, even though the cat is fully CG. 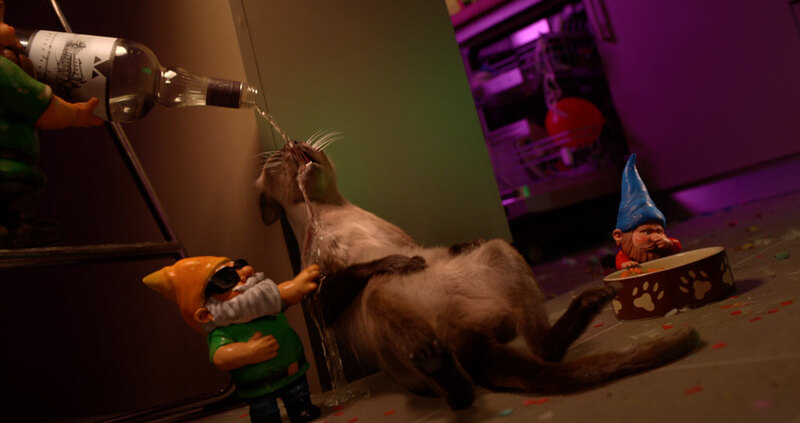 You wouldn't get a real cat drunk, or at least I wouldn't. The solution was to have his animation style shift over time. At the beginning our cat seems real then becomes more cartoony as the film goes on. By the time he's getting drunk and then see his new haircut, the aim was to make it feel funny and ridiculous rather than cruel. It's a film that's full of surprises and we had a lot of bizarre conversations on this job; How lumpy should the cat vomit be and what colour? 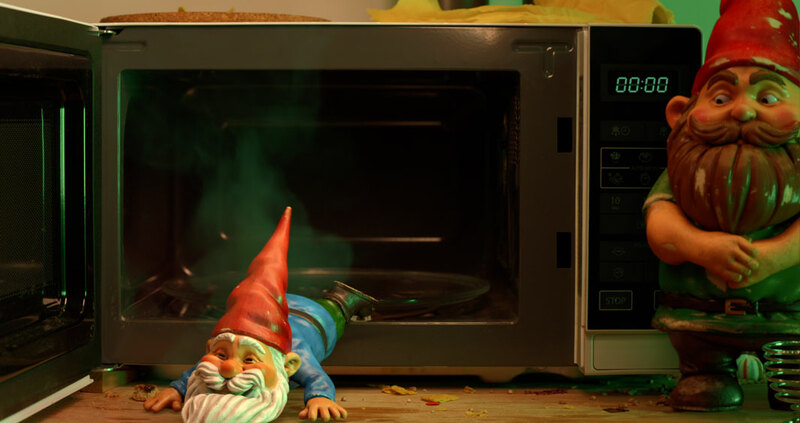 When a gnome gets 'baked' in a microwave, how good does he feel? How can we humiliate a cat and get sweet revenge on it without being malicious? Mill 3D Lead Jon Wood explains, ‘The first time I saw this job was when I was handed Jimmy's amazing treatment - even at this early stage it promised to be a lot of fun to work on. We didn't have much time before the shoot so it was important that we got underway with the previs as quickly as possible in order to plan what we need to shoot on set. We built a previs for the entire spot in order to fully understand the edit and make sure we were being as efficient as possible with the time we had at the studio. At the same time we were underway with creating the designs and starting the initial sculpts for the main characters. 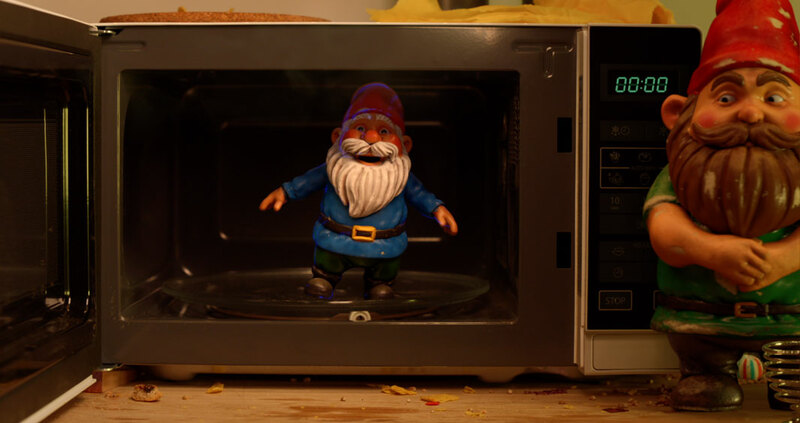 We really wanted to give the gnomes that traditional "moulded look" but this would have created problems for both modelling and rigging. We were able to get round this by use of shaders which "blended" between separate pieces of geometry. As long as the geometry intersected it would create a rounded "fillet" between the two pieces, thus giving the illusion of a continuous surface. 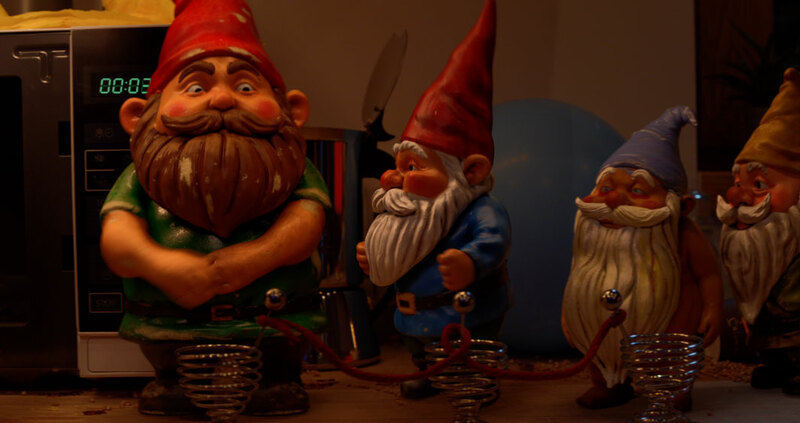 The other thing we wanted to get right was the feel of the material they were made from, we did this by scanning existing gnomes which allowed us to examine their surface detail under a different range of lighting conditions and really isolate what made them work. The cat was a very different challenge to that of the gnomes, such lithe, fluffy animals are notoriously difficult to make look convincing. We collected lots of reference of the type of cat we needed and began the modelling and rigging process. The fur was done with our in house proprietary tools and the skin and fur simulation was done in Houdini. Finally shot sculpts were done in order to ensure that the muscle and body shapes were as convincing as possible. The VFX was a key part of the job, with requirements for dynamic grass, skin and fur simulation, foam, fluids, smoke simulation and, of course, vomit! Apart from the grim task of finding good vomit reference, getting the vomit to look realistic was actually one of the hardest tasks on the job. The balance of stickiness, stringyness, and viscosity was achieved in Houdini using a combination of techniques. 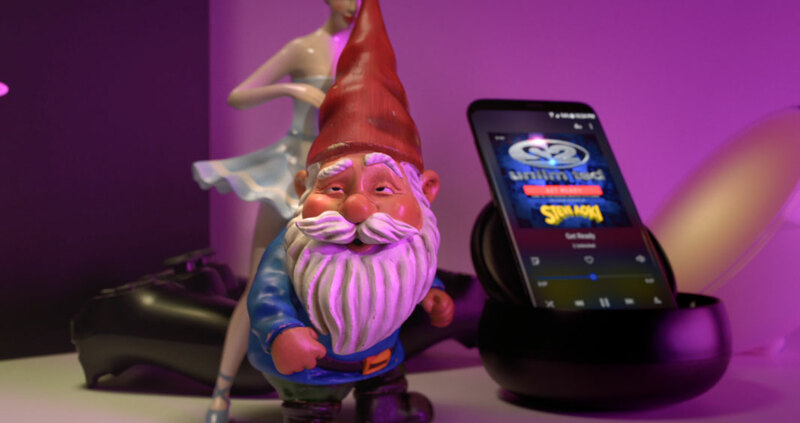 The lighting was achieved by the careful shooting of reference plates of real gnomes and then capturing hdri's of the lighting setup. The interior lighting was made a magnitude harder by the fact that it was all lit by ever changing disco lights. 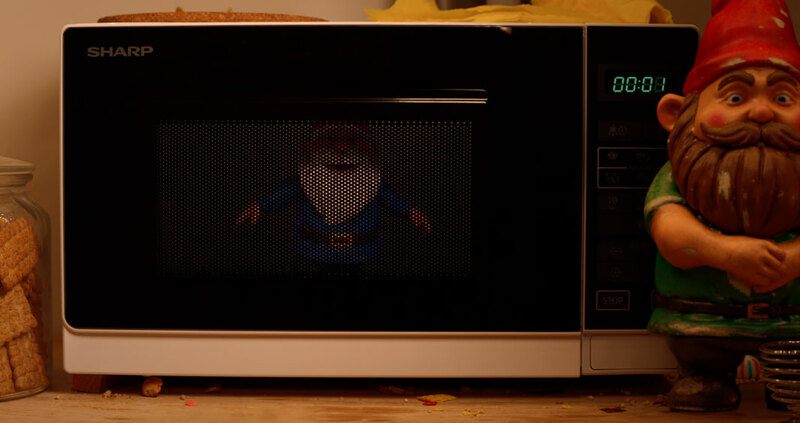 In order to ensure that the gnomes matched seamlessly into the backplates, we sampled the colour changes from a neutral part of the plate (usually a white wall) and used this to create a colour changing image sequence that was then mapped onto CG lights that had been matched the position and size of the lights on set.